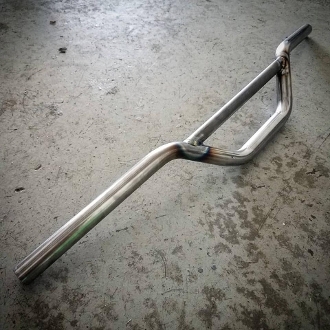 Zombie Performance BMX'ish Motorcycle Bars! Old school BMX Styling but fitted for your motorcycle. 1in .120 wall steel tube with 3/4in cross support. *Available in Raw Steel, or powder coated. * Please allow extra time for powder coating, or any wiring mods. AS ALWAYS,...MADE IN THE USA!